Did you know that March and April have the lowest number of days with rainfall in Scotland? The temperatures are lower during those months, but I think they’re the best time to visit. One key to enjoying a visit, no matter what time of year, is having the correct golf trip rain gear. 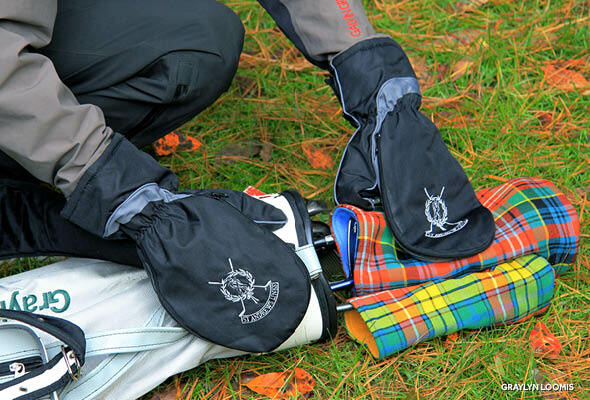 The most essential piece of weather gear for a golf trip to Scotland is a great rain suit. There are a few essential points to consider and avoid during the search process. Don’t just wear that short sleeve rain jacket you bought for sale a few years ago. Playing a round soaked from the elbow down isn’t fun. The cold wind and rain saps the heat from your body wherever possible and extremities (hands in this case) are the first to go. If you can afford it, get a rain suit that utilizes Gore-Tex. Gore-Tex is unquestionably the best in waterproof material technology. 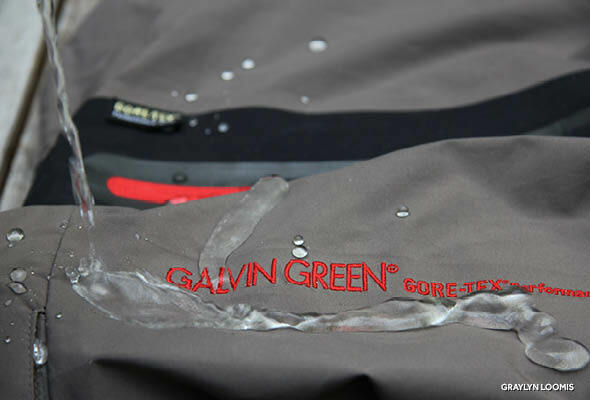 I am a huge fan of Galvin Green, who use Gore-Tex in all of their shell products, but the price point isn’t for everyone. 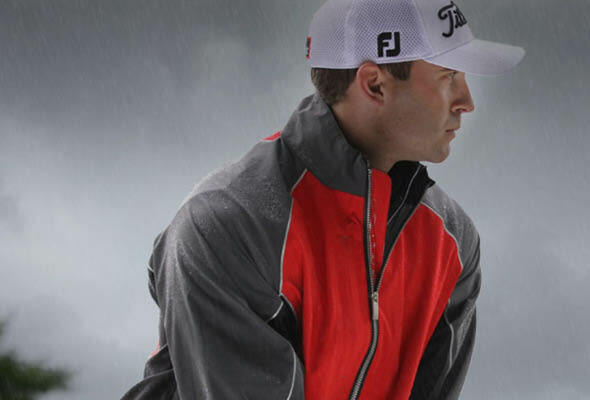 Waterproof pants are just as crucial as your jacket. Make sure they are large enough to pull over your normal golf pants. This plays into the layering game (see more below). Don’t waste your money on a waterproof hat. Instead bring a couple of wool hats and keep the extra one in your ziplock bag (see more below). 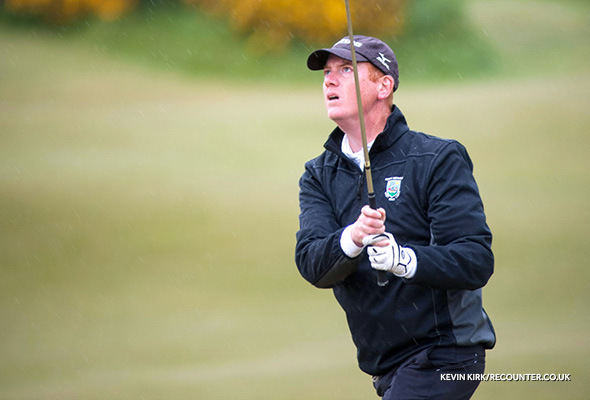 It is difficult to describe how quickly the weather changes during a round in Scotland. 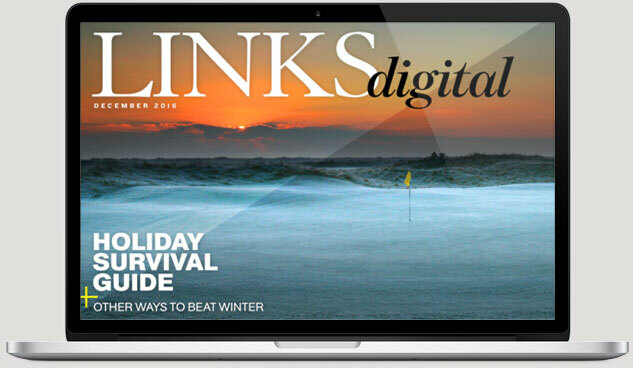 “If you don’t like the weather in Scotland, wait five minutes” is a common refrain from caddies. Rain turns into beating sun followed by cold winds, then hail. The ability to shed a shell layer, put it back on, and adapt quickly is vital. A smart option is to anchor your layering strategy with an Under Armour (or similar) base layer. You can always pick out the links golf rookies by looking for umbrellas. The high winds that accompany Scottish rain make handling an umbrella difficult and counterproductive. You have to close the umbrella when you put it down (otherwise it will blow away) and you always get soaked in the constant opening and closing process. 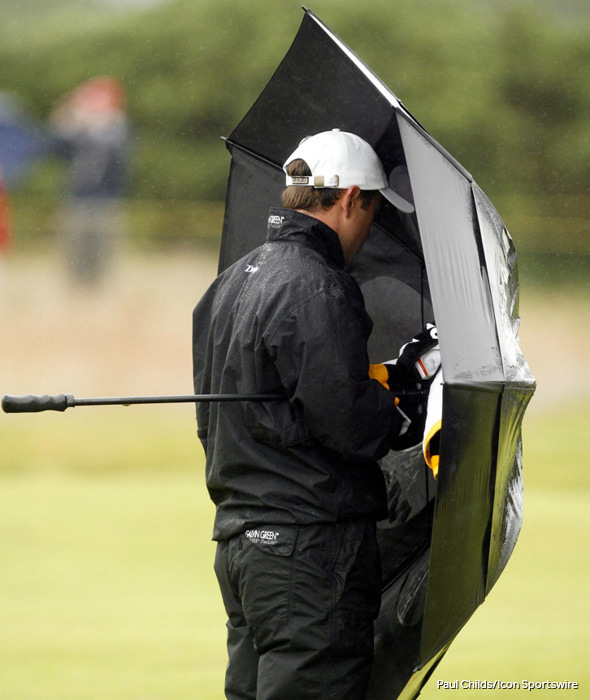 Even if you have a caddie to carry your bag, don’t carry an umbrella. 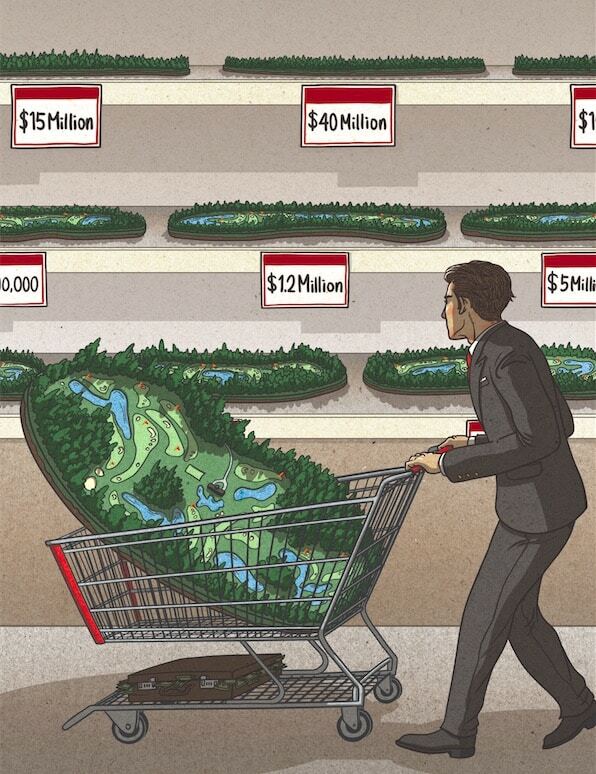 You may see it happen on the tour, but it’s a worthless practice in Scotland and your caddie will hate you. Yes, I mean pairs plural. 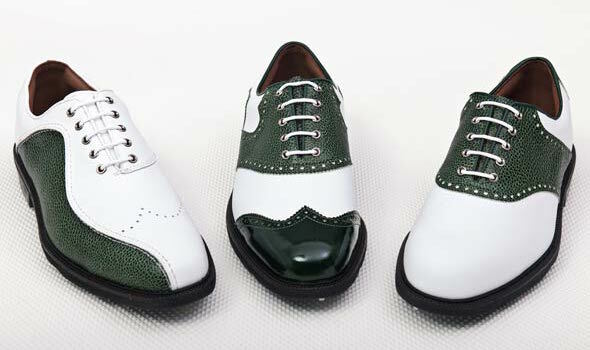 Bring a spare pair or two, because slipping on a damp pair of shoes in the morning ruins the day ahead. Even if it’s not raining, walking through tall fescue rough often soaks your feet. Additionally, make sure you have a good pair of waterproof shoes, preferably with a “sewn-in” tongue. All of the water streaming down your rain pants runs directly onto your shoes, so they are a point of weakness in the waterproof chain. Carry a few large ziplock bags in your golf bag during the trip. When the rain comes, throw your keys, phone, wallet, rangefinder, camera, and spare gloves in the bags. It is a cheap and easy trick that will save your electronics and keep your essentials dry. Do you have other items that you deem crucial for a trip to Scotland? Let us know in the comments!